Beyond the sparkling lights of the Las Vegas strip lies a state filled with spectacular natural beauty, hidden one-of-a-kind hangouts, and a deep, rich Wild Western history. 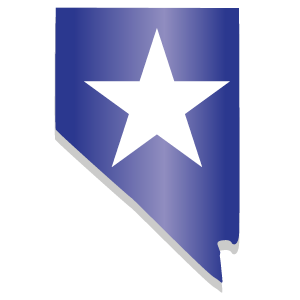 Since the earliest days of our state’s history, people have worked together to make Nevada great, welcoming citizens of all cultures and beliefs and advocating for the causes that bring us together. The Richard Harris Law Firm stands by its commitment to enrich the communities we serve, and we are proud to present Spirit of Nevada—featuring exceptional places, charities, and other organizations— making Nevada a better place. Catch new Spirit of Nevada episodes on Facebook, YouTube, and Instagram or join our VIP list for exclusive first looks. As the host of Spirit of Nevada, I’ve had the opportunity to tell the stories of those who explored our land, honor local heroes and organizations that better the community, and showcase some of the most spectacular locations hidden throughout our great state. My hope is you will create new memories at these special places and discover both sides of Nevada. Whether you just moved here, or are a Nevada native, you will enjoy this diverse series. The Las Vegas Natural History Museum features interactive and educational exhibits from the prehistoric age to colorful marine life and the Treasures of Egypt. This inspiring gateway to history gives us a better understanding and appreciation of the natural world, the sciences, and ourselves. The 2019 scholarship contest theme is “Home Means Nevada.” Students are encouraged to use their creative talents to show what Nevada means to them by sharing stories of the exceptional people, places, charities, and social causes that make Nevada a better place.